Morgan Monroe Time Worn Acoustic Guitar — A unique music store in Brown County, Indiana! The all new Morgan Monroe Time Worn 00 Acoustic Guitar offers the look, feel, and sound of a vintage instrument that is perfectly tailored for the modern player. 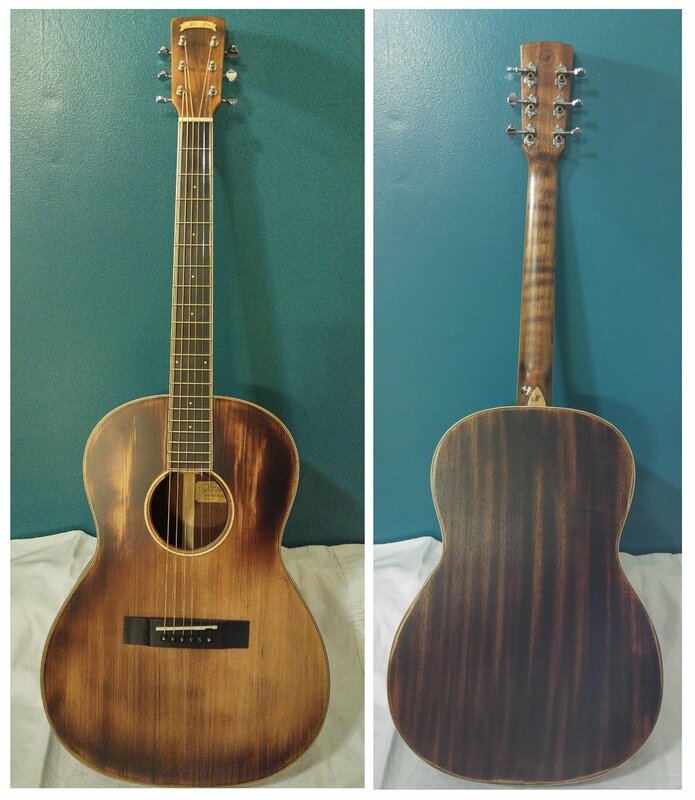 Shape: 00, Top: Solid Spruce, Back/Sides: Mahogany, Fingerboard/Bridge: Walnut, Nut/Saddle: Bone, Finish: Open Pore "Distressed"
Time Worn Guitars by Morgan Monroe offer you the ability to choose an incredible guitar at an affordable price point that is pleasing to both the eyes and ears! Each finish is hand-distressed to epitomize the vibe of a battle worn guitar that has seen countless jam sessions along the way. The Solid Spruce top gives you an incredible tone in a 00 Body Size that is comfortable to play. The Time Worn also features brand name Grover Tuning Keys, a Heavy-Duty monogrammed Gig Bag, Refillable Guitar Humidifier, and a Lifetime Limited Warranty.